It had been a tough six months. A tough year, really. We moved our family of six internationally and said goodbye to people, a life, and a country we loved. We sold almost everything we owned and started over. We walked into a new everything—new jobs, new schools, new relationships. Did I mention things were hard? Because they were. The worst of the transition had passed, and we were gearing up for the start of a new school year. One of my children was praying specifically to be in the same class as his only close friend. The transition to America had been rocky, and this kid needed a win. The new class schedule arrived in the mail. It was not good news. He was devastated. Oh, boy. That’s a tough one, because honestly? I get it. Why kick a kid when he’s down? Surely God knew the degree of hard my son had already been through and would want to make at least one thing easier…wouldn’t He? But He didn’t. It’s so hard to see our kids disappointed, especially when it seems like God should have answered one way, but He didn’t. In response, we parents tend to do one of two things: We either try to fix it by controlling and manipulating (“I’m going down to that school right now and demand they give you a different teacher!”) or we immediately spiritualize, dismissing the pain (“Well, God has a plan, so let’s get excited about that.”). How can we shepherd our kids when life doesn’t go according to plan? 1. Sit with them in their pain. Sometimes the best thing to say is nothing at all. Sit with them. Hug them. If you say anything, let it be, “I’m so sorry. I know you’re disappointed. I know this hurts.” Let them feel their anger/frustration/pain and feel it fully. Be a safe place for them to express their feelings and know they are still loved. Most of our desires come from our God-given design. My teen wanted to be in a class with a friend because he was made for community. A child wants to make the team because she was made to belong and achieve. Affirm—don’t shame—your child’s desires, because they are real and, most likely, good. There is such power in the words, “I don’t know.” So often, we try to rescript a disappointment to include a happy ending. But the truth is, we don’t know how things are going to turn out. I don’t know if my child will make new friends. I don’t know if this year will feel spectacular. I can’t tell the future, so how could I know? We may think we give our children security by knowing the answers, but,they probably find more comfort in our honesty. Our vulnerability normalizes the times when they don’t know, either. It tells them it’s okay not to know, because we trust in the One who does. 4. Remind them of the bigger picture. At this point you’ve built up some relational collateral to offer perspective, but it must be offered gently, in love. The goal here is not to preach a sermon or talk about how you understand because you went through the same thing when you were growing up. (I used to do this with one of my children and thought it was effective until one day he said, “Mom, just stop. It’s not helpful at all when you talk about how hard things were for you.” Oh. Okay.) Instead, the goal is to start with the smaller picture of the unanswered prayer—the class schedule, the ACT score, the prom date—and remind them of the bigger picture: their true calling as a believer, which is to honor and glorify God in each and every situation, happy or hard. 5. Pray for eyes to see. It’s imperative that we teach our kids to look for God in the good and the hard; in the prayers answered “yes” and the ones answered “no.” They need to know that the goodness of God is not defined as Him giving us what we want. He is good because He is good, and His character never changes. Because of this truth, we can trust Him, even when He doesn’t answer our prayers the way we want Him to. Sanctification is a lifelong process. It takes a lifetime of practice to learn how to rest in God’s sovereign care because our independent, “I-want-what-I-want” nature fights against it. Trust the Holy Spirit to slowly, slowly change your kids’ desires to match His, just as you trust Him to change your own. Each choice they eventually make to trust God in the hard will deepen their faith and increase their view of a big God who gives good gifts to His children, even when the gift feels painful at the time. I don’t know how my son’s school year will go. I don’t know what relationships are or aren’t in store. But I do know the One who knows, and I’m fighting alongside my son to believe that in the bigger picture, God’s plan for my son is good, and He has given him exactly what he needs to glorify Him, through the good and the hard. 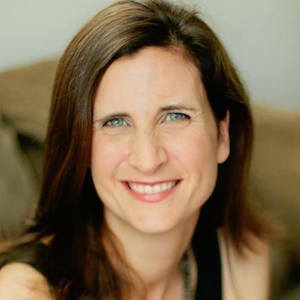 Jennifer Phillips is the co-author of Unhitching From the Crazy Train: Finding Rest in a World You Can’t Control, as well as the author of Bringing Lucy Home and 30 Days of Hope for Adoptive Parents. She is a wife and mother of four, including one precious Chinese daughter. She and her husband Brian have served in Australia with University Impact, a franchise of Campus Outreach but now call Birmingham, Alabama home. For more information, visit her blog at jenniferphillipsblog.com.